You're a doll ? You're gothic.. Then you have to visit Blue Blood store .. specially during the Fantasy Faire ! 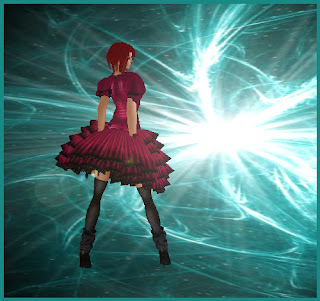 And during the Fantasy Faire, you may grab two outfits which are donations items. First one is Calendula.. Purple and Black, Leather and Straps.. all wisely mixed together into this great outfit ! Next is Shiver.. adorable little of a doll who know what fashion is !